Aggressive, argumentative, a sick sense of humor, and attention seeking. Meet the internet troll—a creature we’re so accustomed to nowadays, that they’ve become an enduring element of the internet, especially social media. “Don’t feed the troll” is the adage of the day, since trolls are just looking to engage with people by offending or poking fun of them. But left alone, they can cause a bit of havoc and we’ve seen enough of them crawling on all the networks we use—attacking celebrity accounts, brands and even just unassuming people. Trolls are everywhere, and they can be potentially harmful for your business on the internet, if you’re not careful enough. When someone’s checking out your brand online, they’re not just seeing who you are, but also who you attract. They weigh your reputation and legitimacy seeing the activity on your profiles and pages. 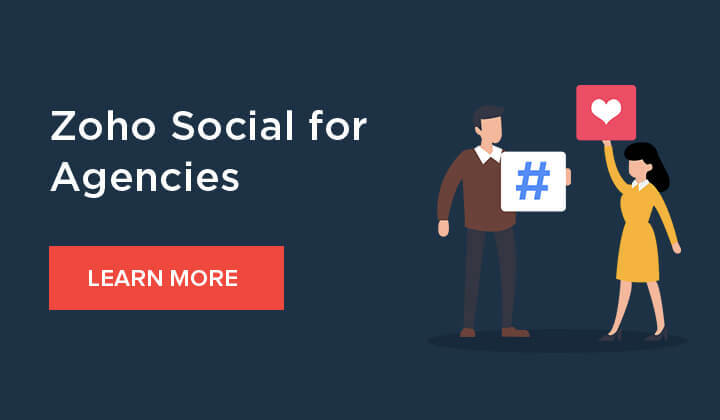 If your social media channels are infested with questionable comments, spammy tweets or incoherent posts by what looks like fake accounts, then you might manage to turn away a good chunk of potentials, instantly. It’s not a stretch to say that internet trolls are perhaps the bane of our digital existence and it’s almost unfair that we-as businesses trying to grow our brand online-are the ones who pay the price for it. It’s thanks to online entities like them, we will always need forum moderators, comment-approvals systems, and network monitoring tools in place. Online magazine Psychology Today even goes as far as to call them “cyber-bullies”. So, what do we do about them? As businesses, with a growing social media presence, it becomes important to get to know the workings of an internet troll—so that you can get rid of them, the moment you spot one. This blog is going to help you do that. Let’s get one misconception out of the way. Not all trolls announce themselves with an obviously anonymous name, or even a fake account. Some are at it relentlessly, and have a larger follow list than you’d anticipate. Some may even discard anonymity and use their real profile details—doesn’t make them any less a troll, as long as they’re haranguing you without provocation. There are also times, that it can get a bit confusing. It may be hard to tell a troll from a dissatisfied customer or an angry follower. Here, take this quick exercise and you’ll see. Consider situation A: You’re running a Twitter ad for your brand, and your ad happens to targets anyone who has searched for a specific set of keywords (which are associated with your brand). Now there’s a possibility, that any random person on the network can be bombarded with your ad, regardless of their interest towards your brand. If this happens multiple times, there’s a chance the user might send you a stinker of a reply. Here, it’s important to note, that while responses can seem a bit abrasive, they’re from legitimate people—not all those that disagree with your brand are trolls. Now, consider situation B: A Twitter handle that you’ve never engaged with before has tweeted at you once/multiple times with irrelevant content or just strings of expletives. There’s no outreach, or any clear call for redressal; it just screams ‘spam’ even though the tweet has properly constructed sentences without typos and errors, that’s typical of a troll or a bot. These are the profiles you should weed out. The ones that have no context for starting an internet argument against you, or flooding you with irrelevant messages and comments. The adage about one drop of poison ruining the whole apple, sort of makes a reappearance here. Even if trolls don’t always have power over you, your reaction to them might just decide how others see you! That’s why you move onto the operative step of handling them, next. Exterminating trolls can be irritating or fun-depending on your marketing disposition, but the caveat to any approach you take is this—how your brand handles trolls can speak volumes about your business. We’re not saying its the be-all and end-all if you don’t handle a particular troll very well, but it can definitely impact your social media image, however little or large. Monitor social media: Before we dive into ways in which —with how you’d want to handle trolls, here’s one of the most important checklist items if you’re a brand with a social media strategy. Set up social media monitoring for your brand. Even if someone isn’t tagging your business, or tweeting at your profile (sometimes there are tweets with misspelt versions of your brand name)—you should still be able to hunt them down and handle them, then and there. Spotting them can require some amount of understanding the conversational landscapes of social networks, and the internet as a whole. This is why you’d be wise to invest in a social media management tool, which can help you identify social media for trolls attacking your brand name. Once you’re all-set, you can jump into handling them. Here are some workable strategies to hold you in good stead, for when your radar picks up a troll on your social channels. The rule of thumb is very simple: if you’re not sure, don’t respond. But if your brand has a lively social media presence, and doesn’t hold back from expressing itself-then go ahead and troll them right back. But the caveat here is you might open the floodgates for more conversation. So exercise caution, pick your opponents wisely and above all, be classy about it. Nobody wants to run into your account to see you fending off trolls by leveling with them. Keep it to the occasional sass post, and you’re golden! Take for instance, brands like MoonPie—an entity that by itself seems like a troll, but pokes harmless fun at people. Their Twitter channel is nothing short of a parody account, so the gate is wide open for trolls. But they don’t necessarily have to shed their brand persona (of a lonely, wistful guy who’s also witty with a sharp sense of humor). For instance, when some critics on Twitter picked on them saying they should “stop managing a social media account”, MoonPie cheekily hinted that they were sadder, considering they were spending their weekend arguing with a marshmallow sandwich on Twitter. The brand neither stepped out of character, nor had to break character and say much to respond effectively. If a troll you’re dealing with has accused or hurled abuses at your employees, or customers—ignoring them may not be the best response. While maintaining grace is important for your marketing voice, standing up for your business should also be a priority. Sometimes it’s best not to engage with a troll comment. Not all troll comments are made by trolls, after all. Sometimes it’s by people who actually know better. So as a business with a marketing identity on social media, you could always take the high road, instead of giving them the attention they demand. If you feel your brand is simply too big, or busy to be engaging with haters and trolls, you could always give them the cold-shoulder and not ‘feed the troll’ as they say. Sometimes, it’s not a deranged netizen, bored teenager or a bot trolling your social profile or page. It could be another brand! What do you do? Firstly, understand that a marketing team would have spent time evaluating the post before hitting you with it. There is definitely something in it for them (or nothing to lose, in some cases) by trolling you. You have the option of engaging in some good-humored ‘troll back’, provided you can keep the tone un-offensive, witty and likeable—a delicate balance to achieve. Take a look at this fun thread started by Amazon India, that made a jibe against food startup Zomato for changing its logo too often. Zomato hits back with an equally biting response, which in turn, prompts even more brands to join in on the fun! Here we’re witnessing trolling without an intent to malign the other brand, so this one gets a thumbs-up from us. While this is no immediate quick-fix to take care of trolls on your social media page, it can effectively reduce the chances you encounter trolls—a large percentage of whom are mostly scouring popular pages/profiles or trending content to create trouble on. So exercise discretion with regards to what popular or trending content you engage with, because some popular profiles can attract more trolls than others. It’s best to know the ramifications of jumping into the popularity bandwagon on social media—before actually going for it. Yes, this can mean even simple things like making a brand statement using a trending hashtag. Having a routine clean-up of all your social channels can help in many ways. One of the benefits is weeding out your followers list. Look for fake, spammy accounts, bots and abusive/illegal content on their profiles and block them out before they ever have a chance to malign your social presence.TL;DR – check your followers, block/ban troll accounts routinely. If you can afford to keep your social channels as private profiles, you can always do that. While this isn’t the easiest strategy to get more followers and engagement, one of the merits of owning a private brand account is the benefit of scrutinizing each follower request and granting access to only those you deem to be okay. This way, you can control directly who gets to access your profile and who doesn’t. If you’ve run into a particular troll who has threatened you or others on your page, or verbally inflicted harm with derogatory remarks—you can not merely flag them, but pursue legal action against the owner of the profile. Keep screenshots of conversations as proof, and try to get all the facts on the table before doing this, though. Every social network has a ‘Report Abuse‘ option against each user, and this can be used to lodge a complaint if the situation is dire. We hope these are enough pointers to tide you through any situation where you’re met with an internet troll. Let us know if there are other ways you’ve seen or personally used to tackle trolls! Drop a comment below, let’s chat!